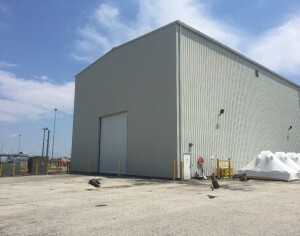 TE CONNECTIVITY HIGH BAY STORAGE BUILDING REPAIRS | Marine Technologies, Inc. 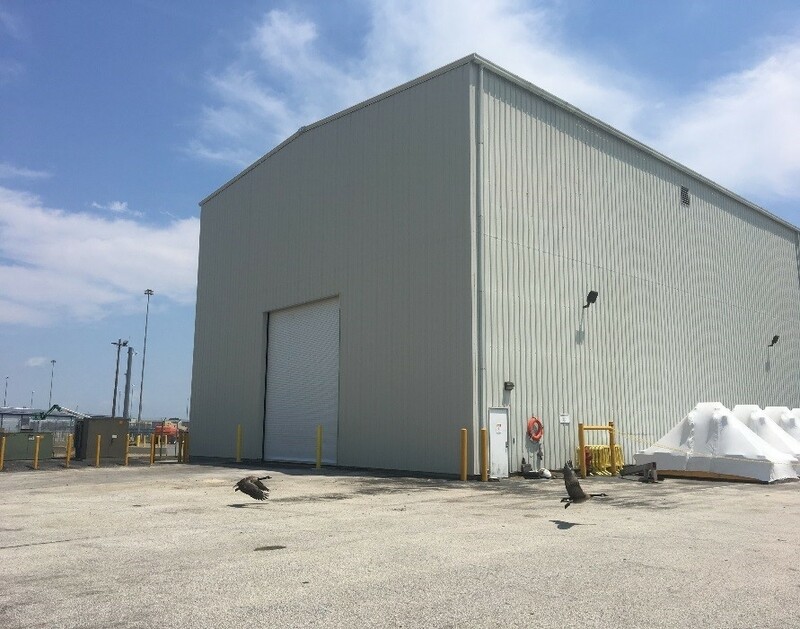 This emergency project was designed to protect sensitive electronic infrastructure and repair the High Bay Building roof, north end, siding, fencing, and bollards. An intense winter storm funneled winds across the Tyco Pier and ripped the north side of the High Bay Building off in February 2017. 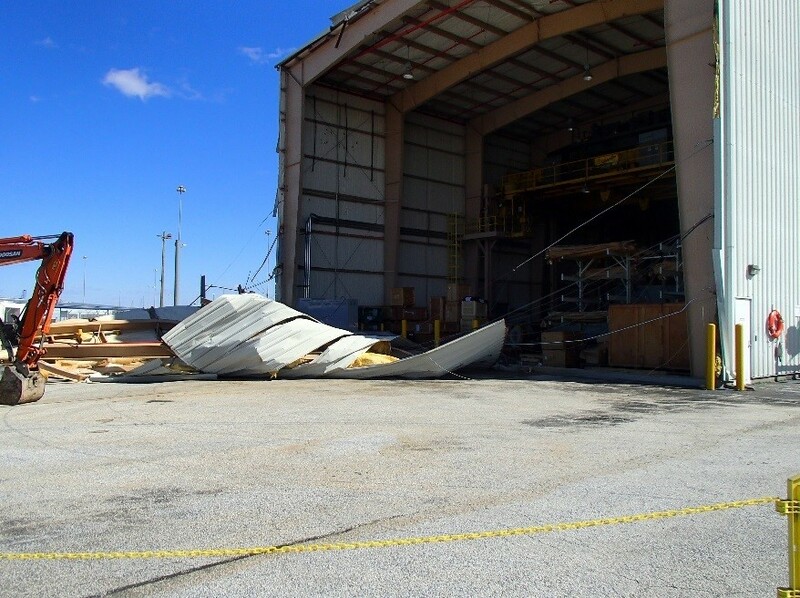 MTI was asked to quickly remove the debris and construct a temporary housing to protect the now exposed, critical electronic gear. The roof repairs involved patching open holes and reinforcing structure--over 7,000 screws (Hex Washer Head Tek) were used for repairs. The steel siding was rebuilt after demolition: foundation work, new/stronger wind columns and steel framing were erected. Additional siding repairs, fence work, bollard repair and replacement were conducted, followed by asphalt patching and repaving. The clean up, demolition, emergency infrastructure protection, repair and replacement work concluded on time and within budget.